Fantastic work and top notch support. This is A+ quality. 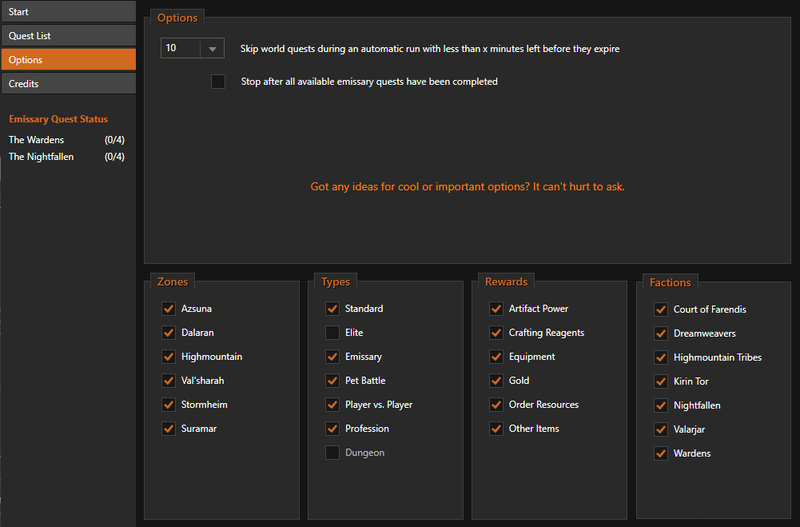 Almost all of the World Quests run without supervision. There are a couple that need to be tweaked a bit but overall this is a great profile pack. The plugins GUI is very user friendly and very easy to adjust to your preferences. I would buy this again without hesitation. Absolutely love this product. First one I tried using the trial period, tried a couple of others similar to this one, they don't even compare. Well Done! 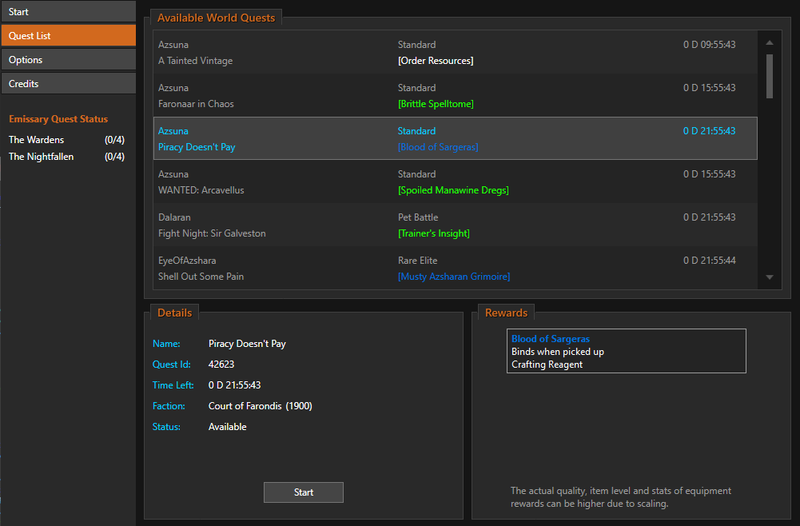 This release (along with the accompanying Studio Companion update) enables the bot to unlock the Broken Shore and Helarjar world quests on its own and to turn in the Legionfall War Supplies of your choice, which can be configured in the zone options of the world quest window once the Studio Companion update has been approved. Armies of Legionfall, Legionfall Construction Table, Set You Up the Bomb! NOTE: This update contains the changes/additions from the last update (that had not yet been approved) plus the Val'sharah invasion quests. Battle for the Ruins, Garthulak the Crusher, On Unhallowed Grounds, The Burning Shores, The Soul Harvesters, Release the Wardens! Fight Night - Amalia, Fight Night - Stitches Jr. Jr.
Lords of the Hills, Snail Fight! 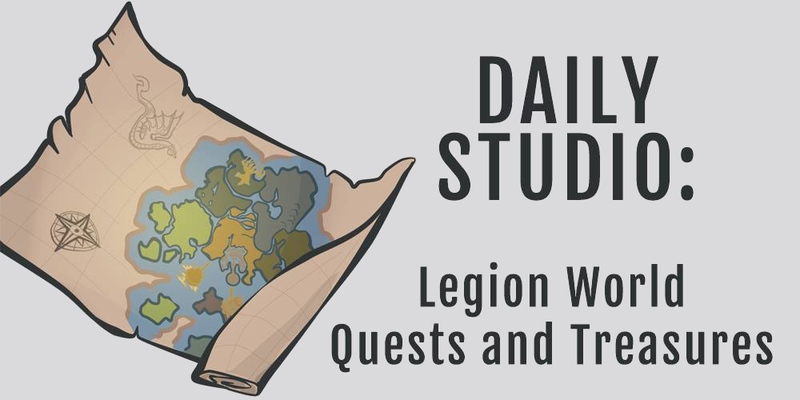 All Pets Go to Heaven, DANGER - Captain Dargun, DANGER - Den Mother Ylva, DANGER - Rulf Bonesnapper, Prickly Fjarnskaggl, Now That's Just Clawful!, "Oh, Ominitron"
- Fixed a status update issue in "Legion World Quests.xml"